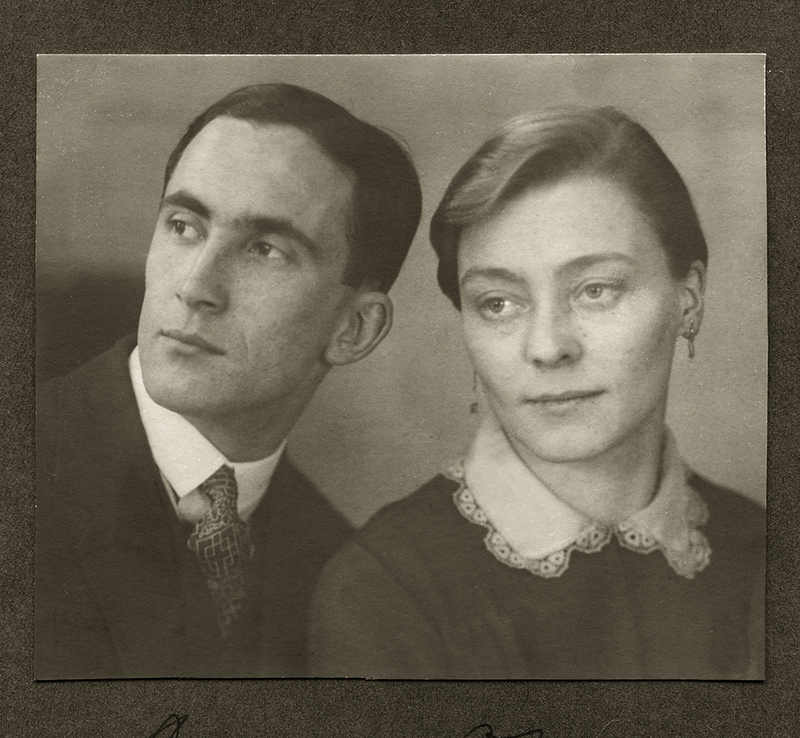 Johannes U. Höber and Elfriede Fischer Höber at the time of their wedding, December 22, 1928. 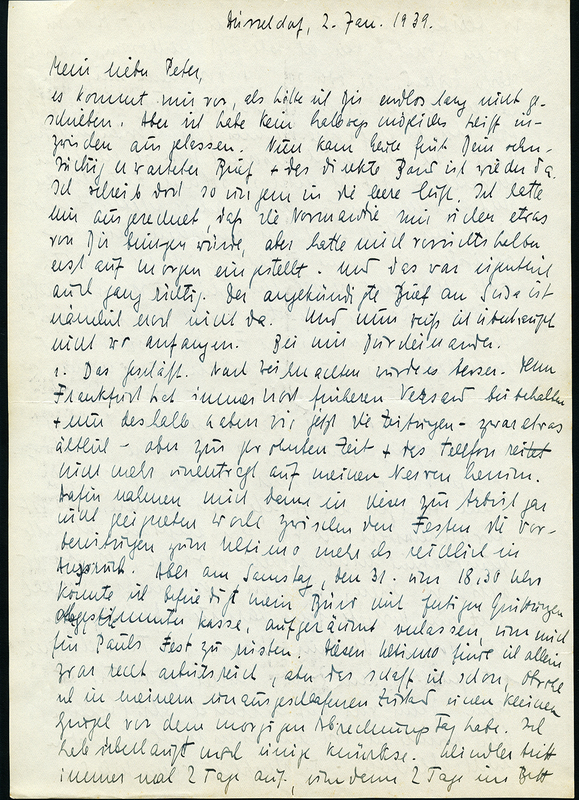 A letter written by Elfriede, January 2, 1939. 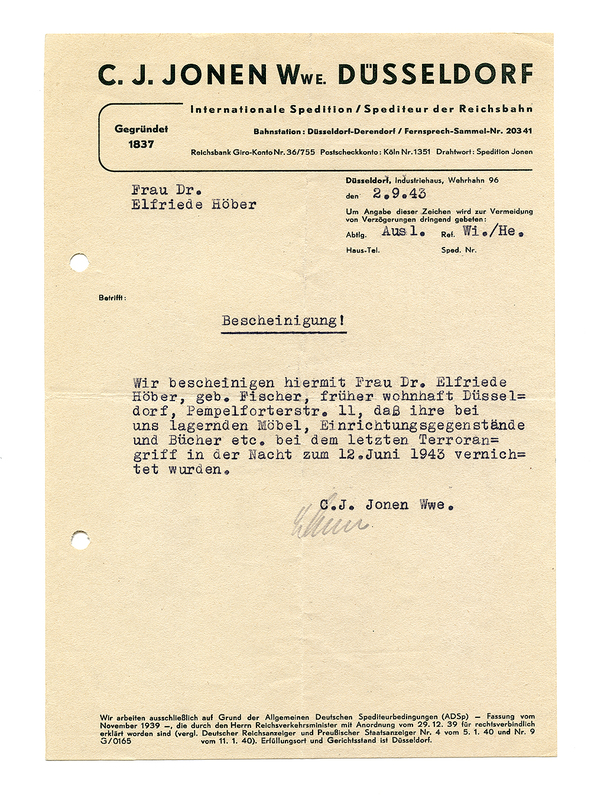 Carbon copy of a letter typed and sent by Johannes to Elfriede from Philadelphia, January 2, 1939. 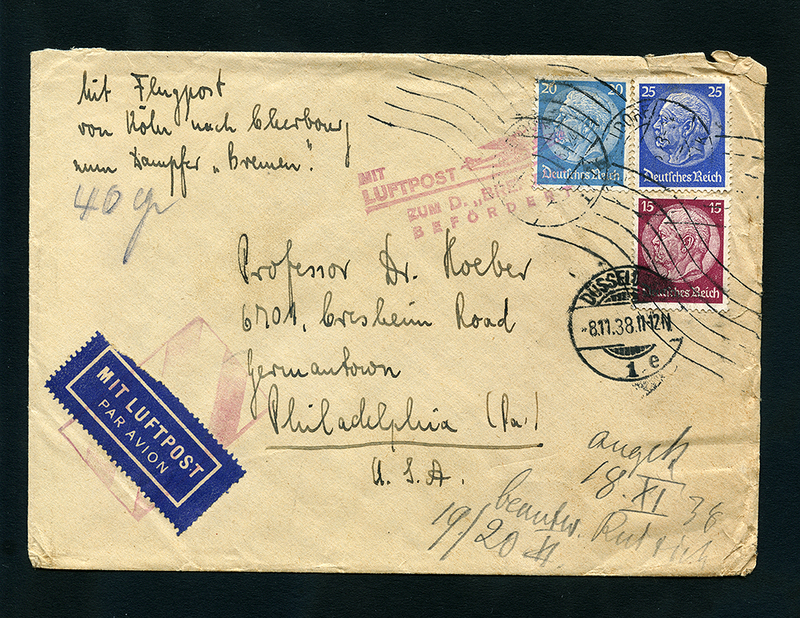 Envelope of a letter from Johannes , when he was still in Düsseldorf, to his parents in Philadelphia. 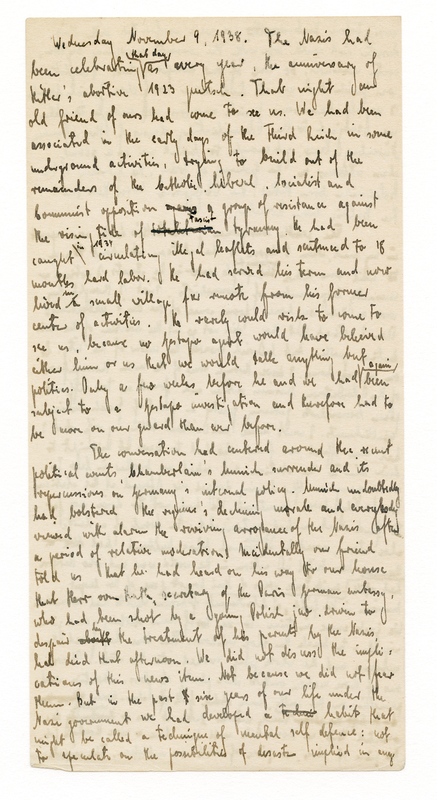 The letter was carried by air to Cherbourg, France, where it was placed on the steamer “Bremen” to carry to America. 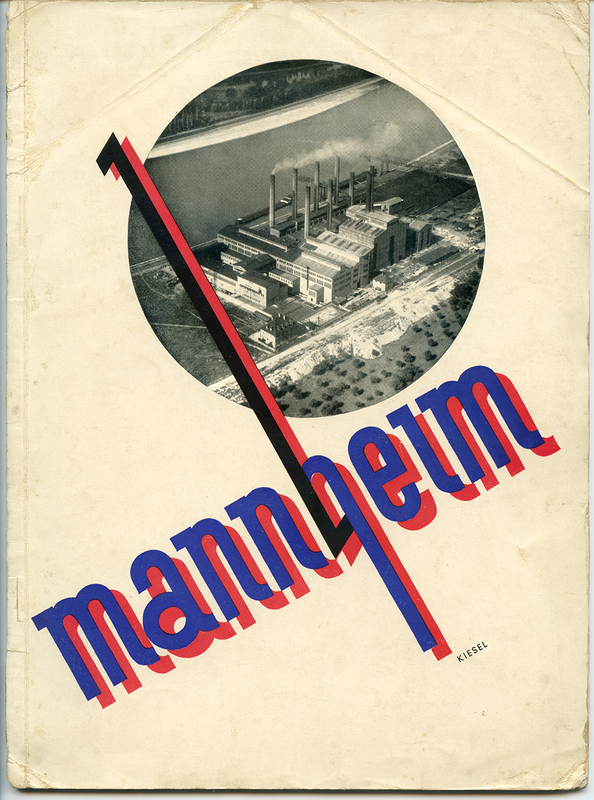 Report on economic issues in the City of Mannheim, prepared by Johannes when he was press secretary to the Mayor of Mannheim, 1929. 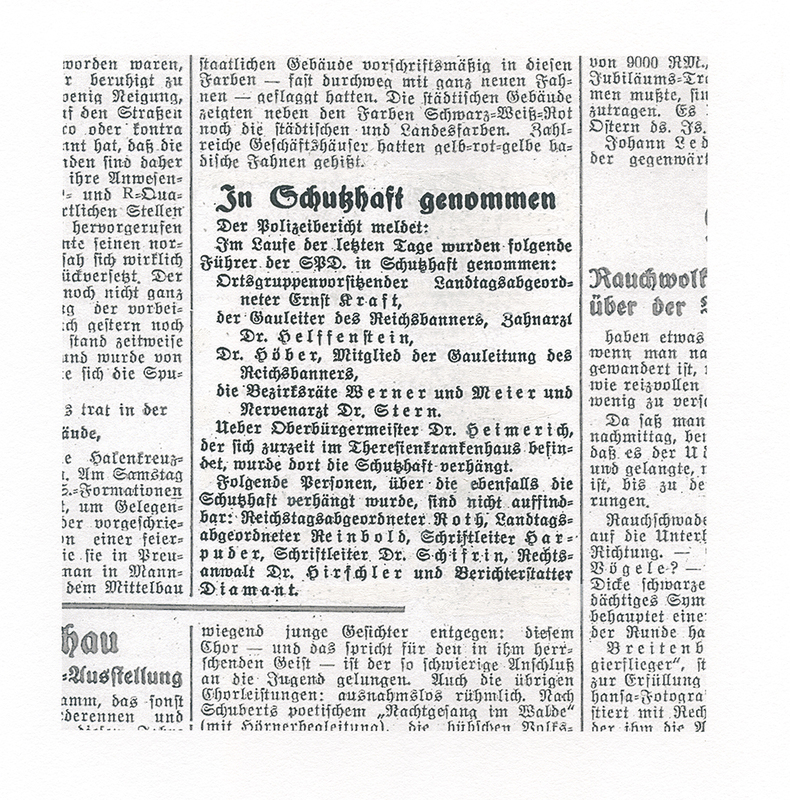 Clipping from a Mannheim newspaper reporting that Johannes was placed in “protective custody” by the Nazis, March 1933. He was held with other Social Democrats in the city jail for five weeks, when he was released on condition that he leave the city and never return. 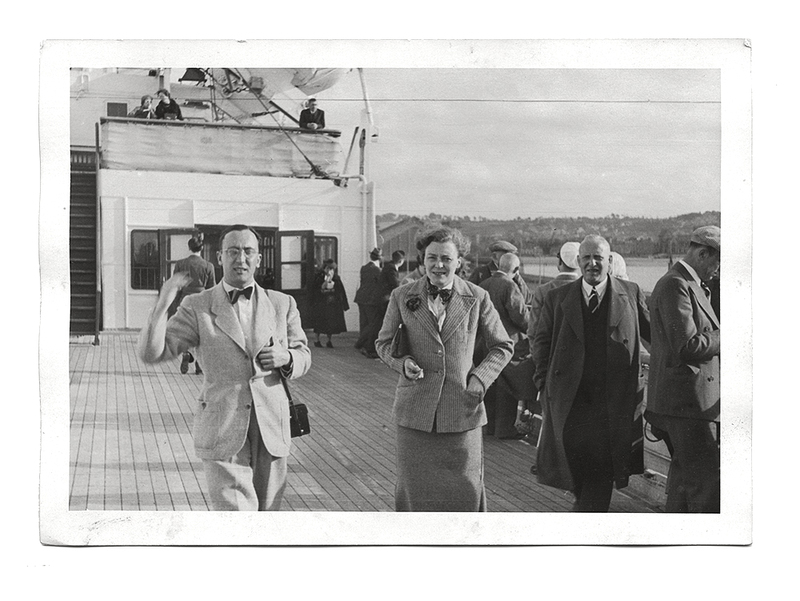 In May-June 1937, Johannes and Elfriede visited the United States for three weeks. 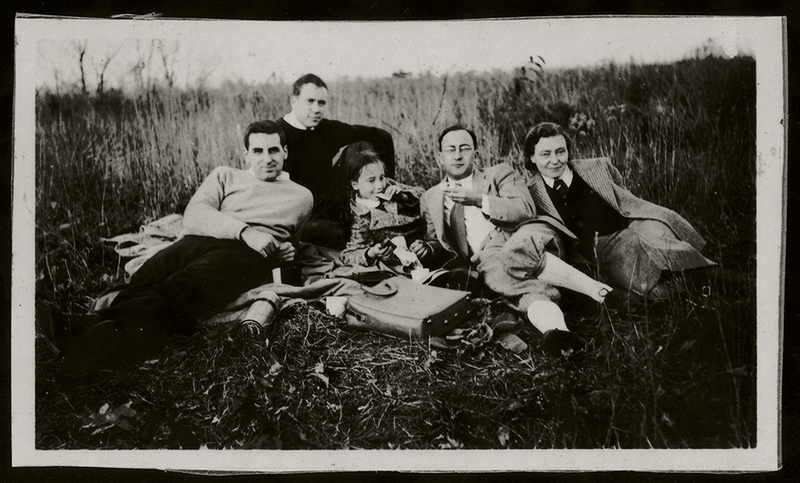 On this trip they learned much about what would be involved if they decided to flee Nazi Germany. They did so the next year. 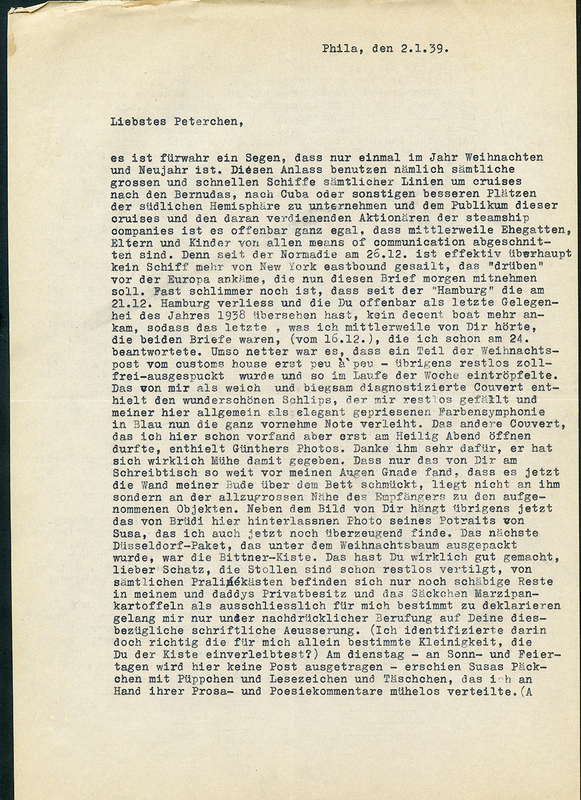 After Johannes fled to Switzerland on November 12, 1939, he wrote this account of the Nazi depredations on Kristallnacht. He wrote in English, presumably to make it harder for German police to read it. 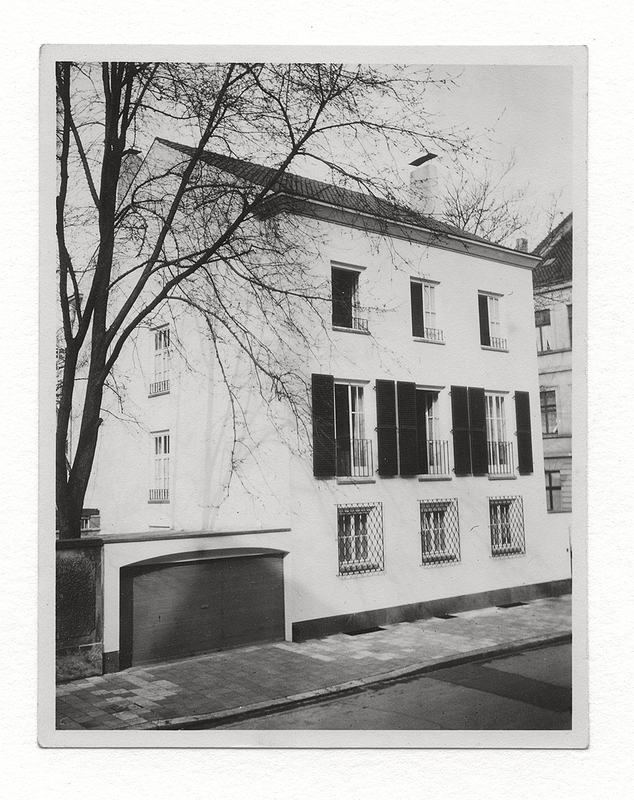 The home of Johannes and Elfriede’s best friends, Karl and Hilde Lenzberg. 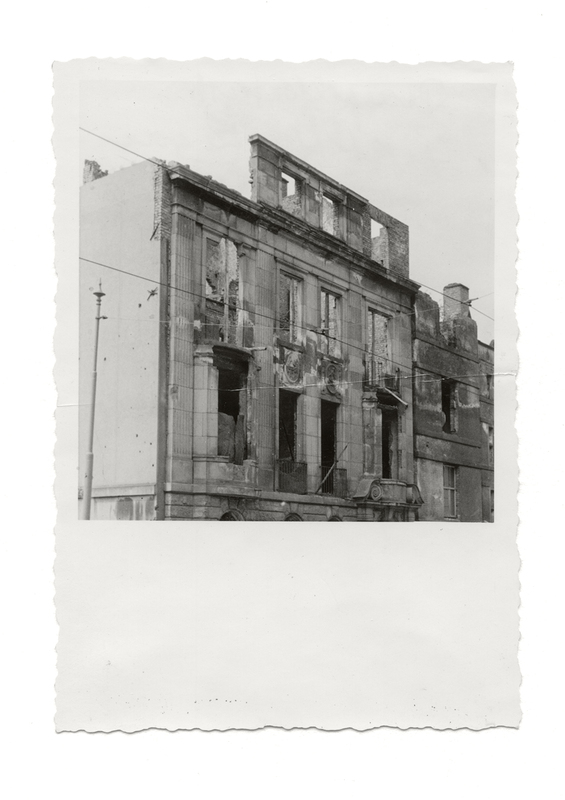 On Kristallnacht, Johannes witnessed stormtroopers throwing the Lenzberg’s furniture out through the second floor windows. 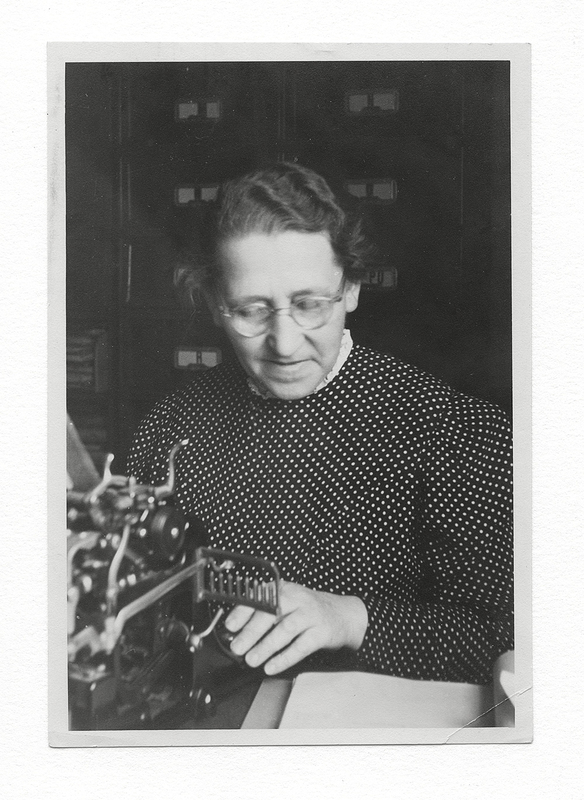 Clara Fischer, Elfriede’s mother, in her home office. Frau Natalie Freyberger, Johannes and Elfriede’s loyal part-time office assistant. 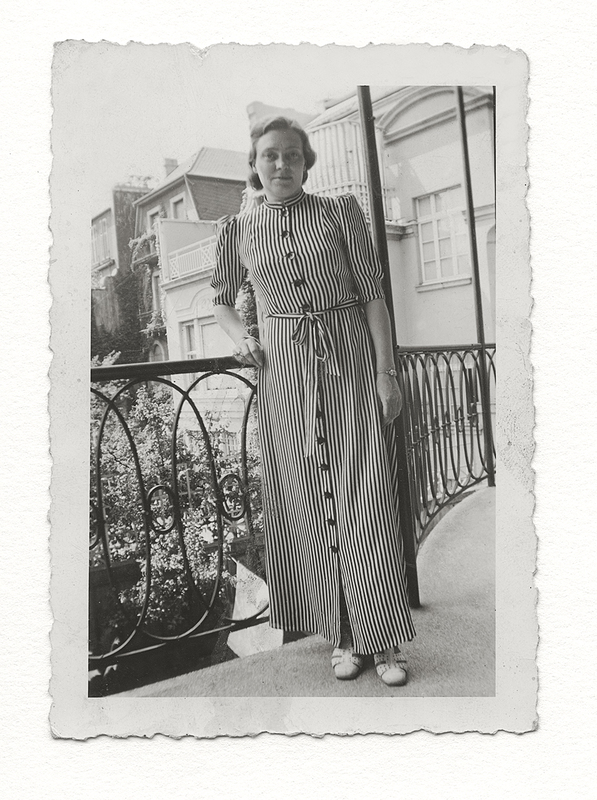 Imprisoned in Theresienstadt concentration camp, she narrowly missed selection for execution by Adolf Eichmann. 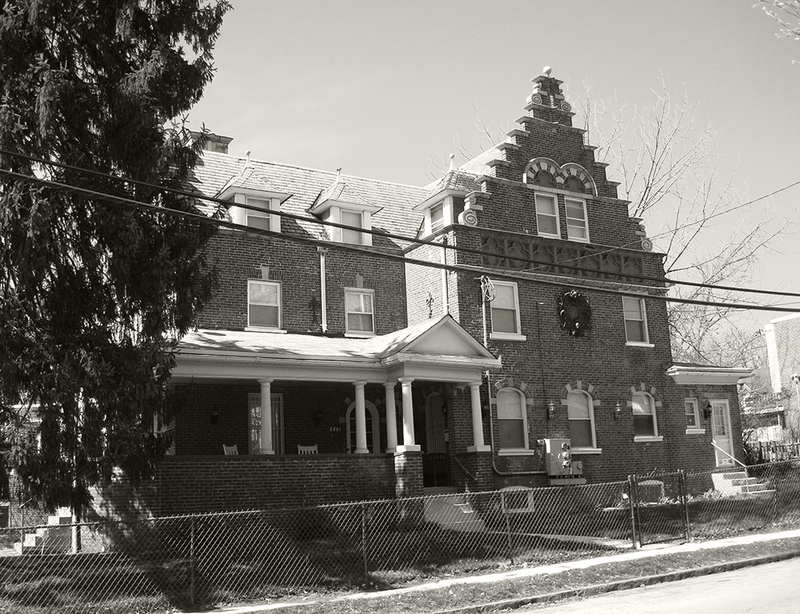 Johannes’ parents, Rudolf and Josephine, rented this large house to share with their children and grandchildren once they excaped from Germany. 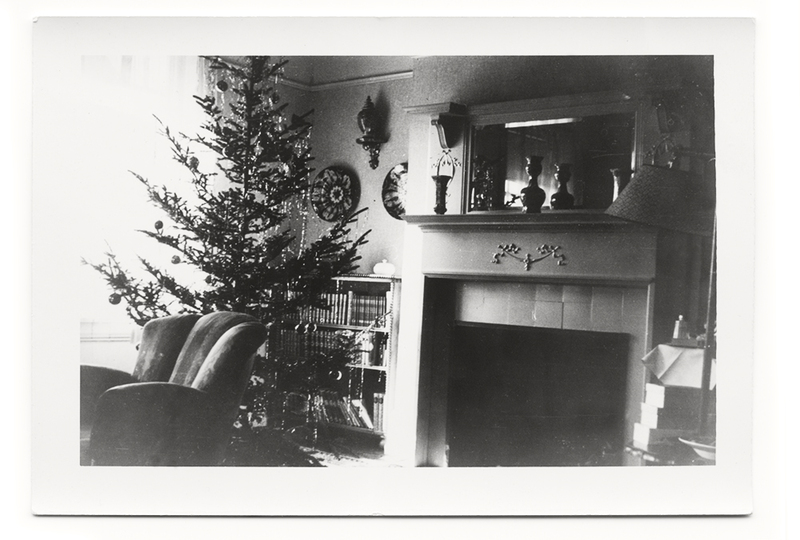 Johannes took this picture in the living room of the family’s rented house on Cresheim Road on Christmas Day 1938, just three days after his arrival in America. 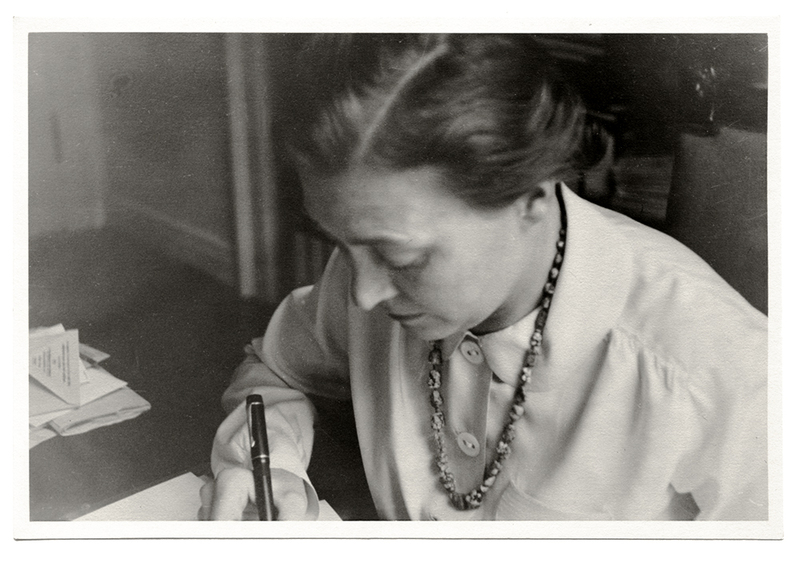 Elfriede writing at home in Düsseldorf , December 1938. 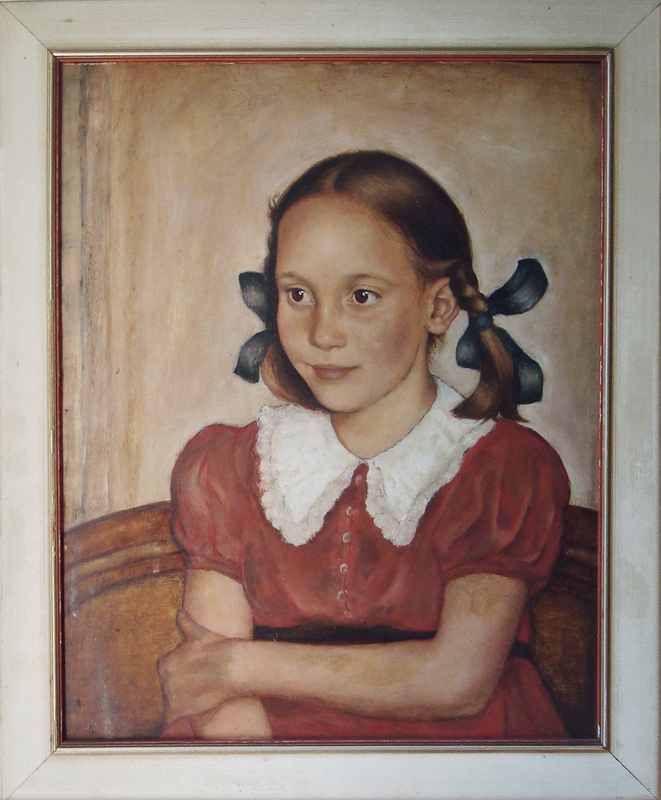 Susanne Höber, age 8. 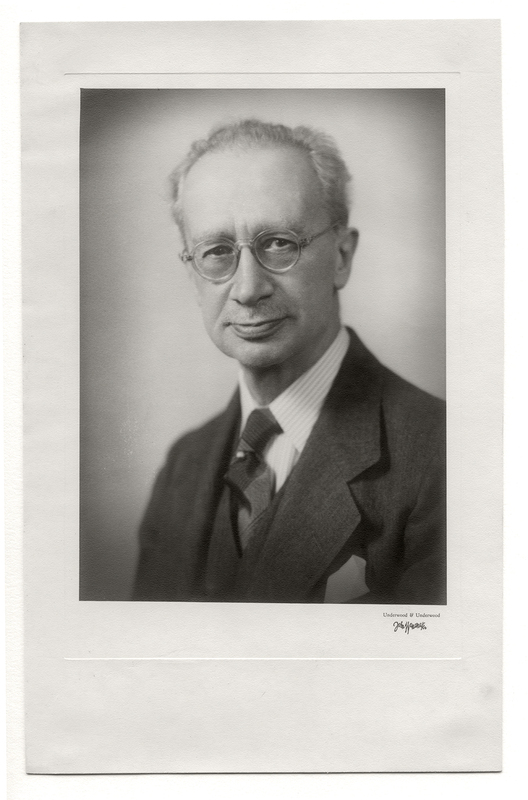 Portrait by Erich von Baeyer, spring 1938. Susanne at home in Düsseldorf shortly before Christmas 1938. 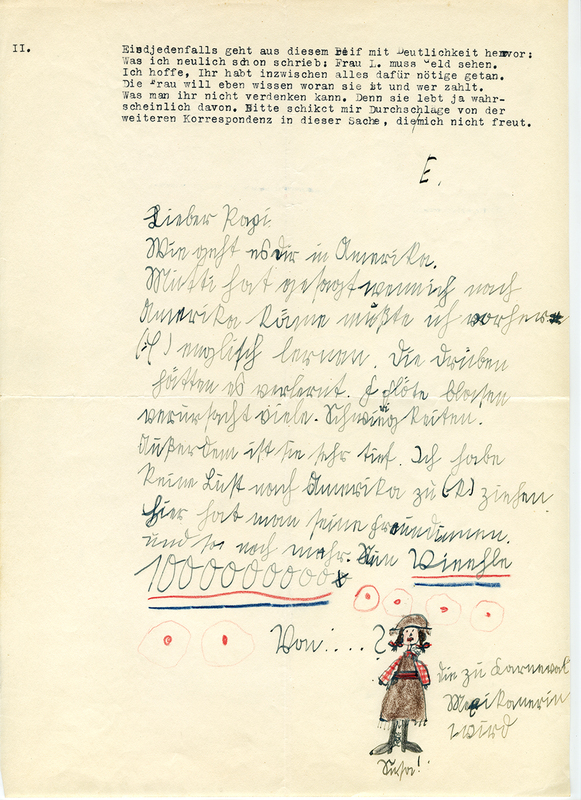 Letter from Susanne to Johannes, February 1939. 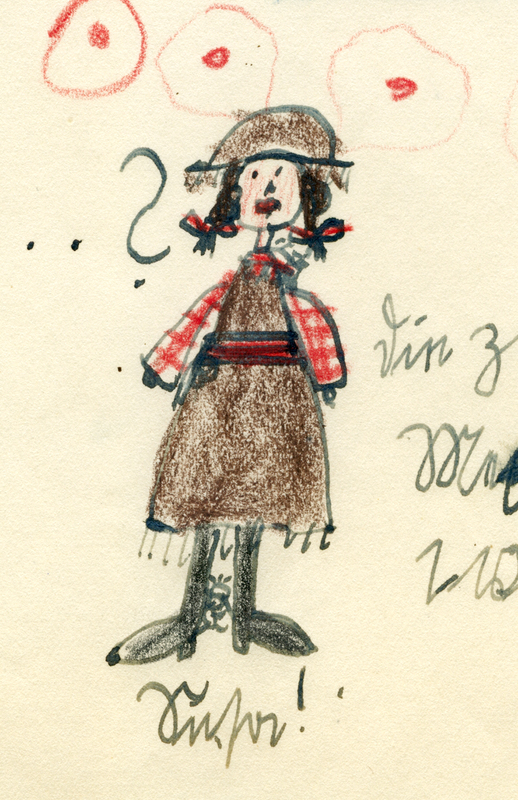 Susanne’s self portrait in her “Mexicanerin” costume for Karneval, 1939. Susanne in her “Mexicanerin” costume for Karneval, 1939. 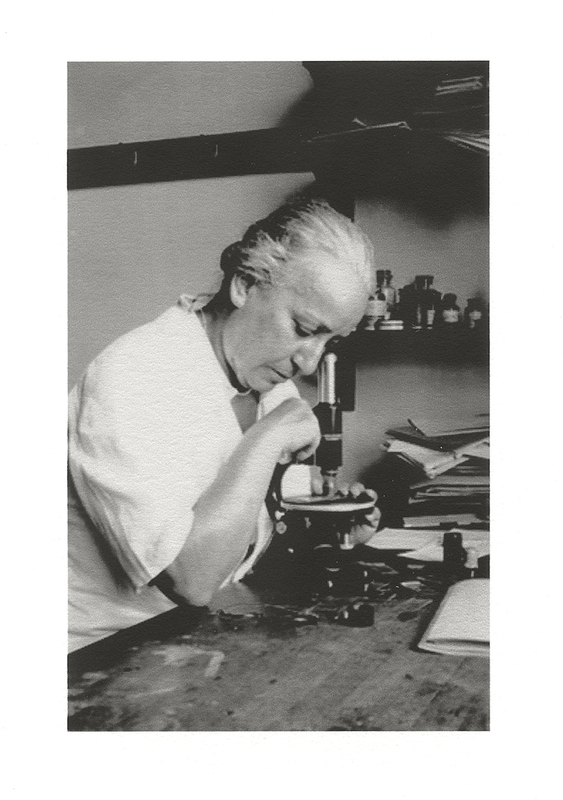 Josephine Marx Höber in Rudolf’s lab at the University of Pennsylvania. 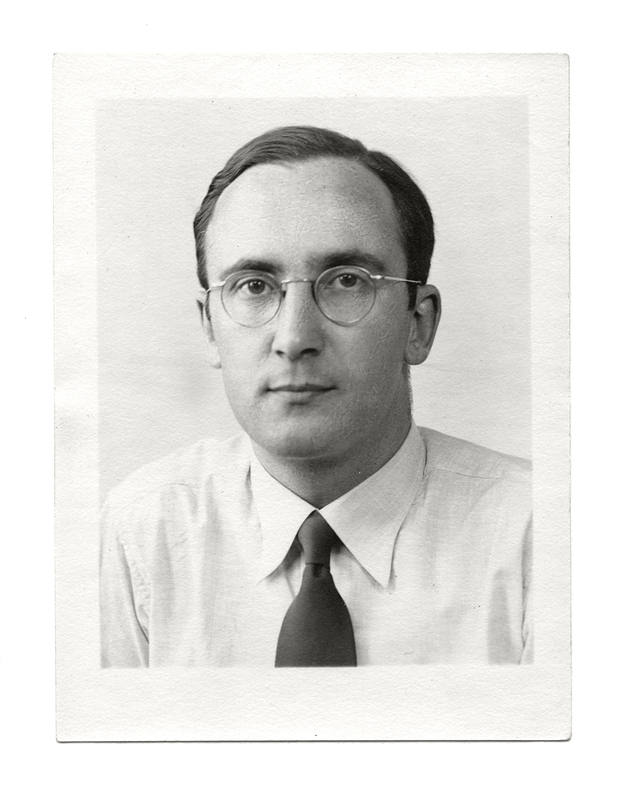 Rudolf Höber, Professor of Physiology, University of Pennsylvania, about 1935. 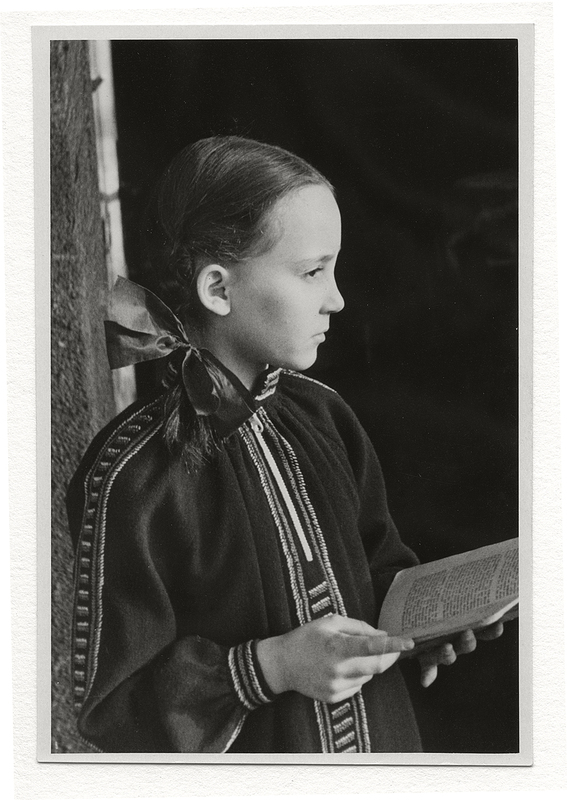 Elfriede’s friend Hilde Lenzberg and her son, Til, on their Easter trip, 1939. 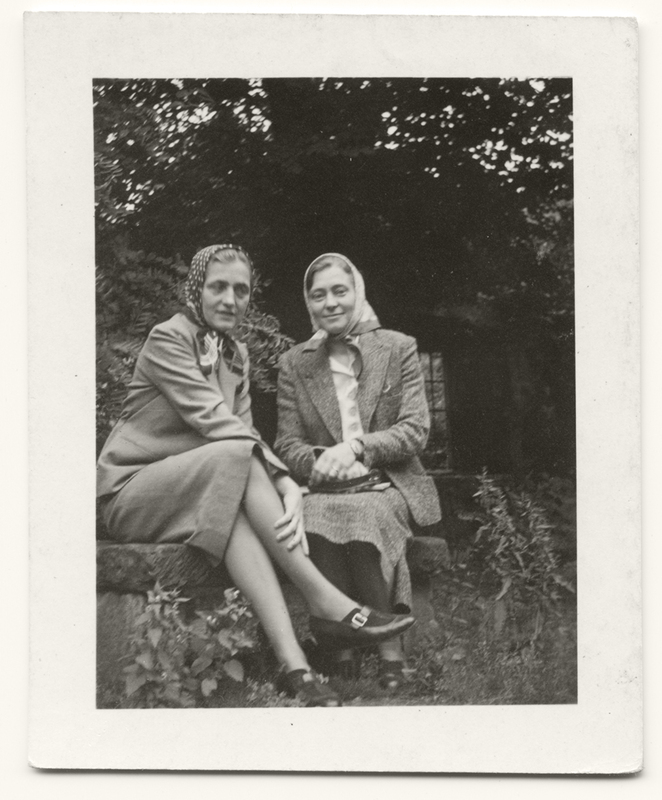 Hilde Lenzberg and Elfriede near Heidelberg, Easter 1939. 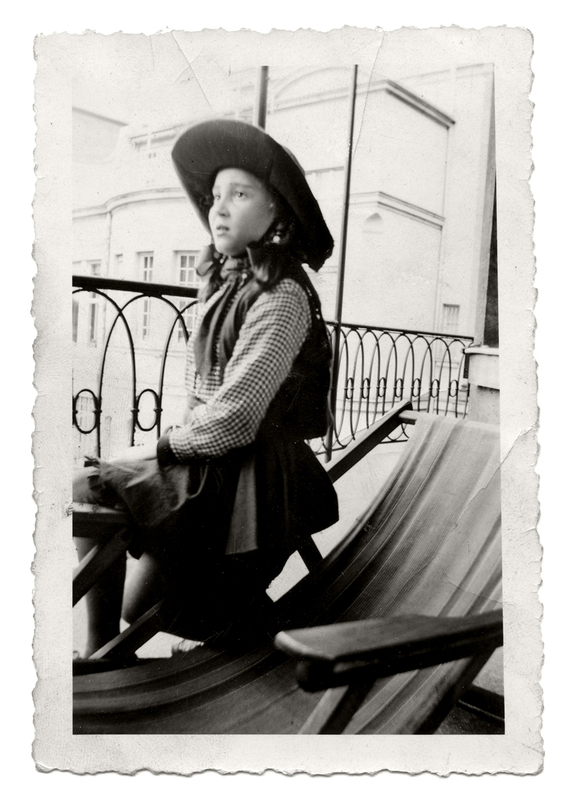 Elfriede on the terrace of the house at Pempelforterstrasse 42 in Düsseldorf, May 1939. 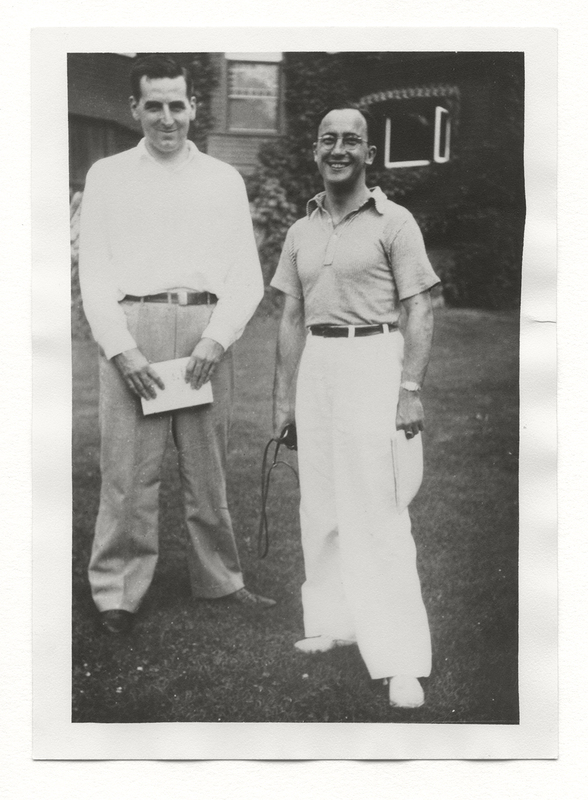 Walter Phillips and Johannes at Walter’s parents’ home, May 1939. 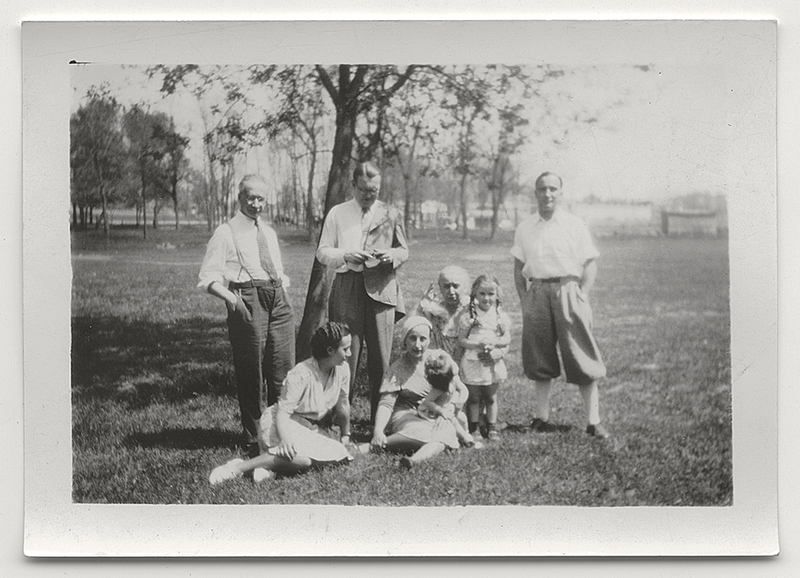 Family outing to Lancaster County, May 7, 1939: Rudolf Höber, Ursula Hober, Manfred Blaschy, Gabriele Blaschy with Monica, Josephine Höber with Juliana, Johannes Hoeber. 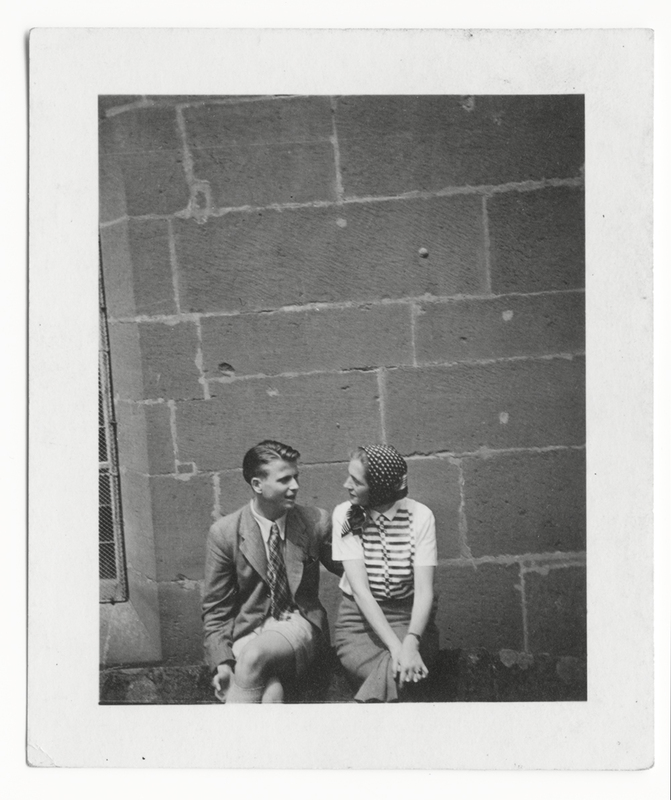 Rudolf Höber and his research assistant, Priscilla Briscoe, May 7, 1939. Johannes shortly before he left Germany, 1939. 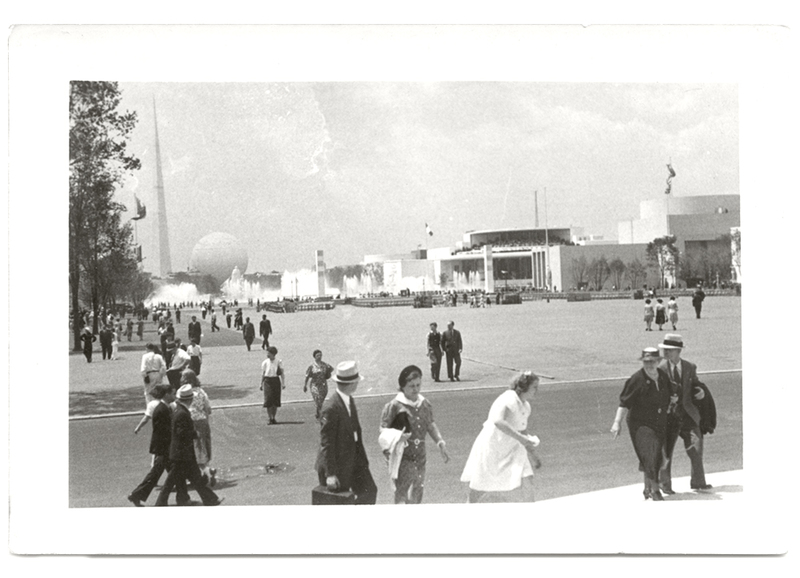 Johannes’ photograph of the New York World’s Fair, May 29, 1939. 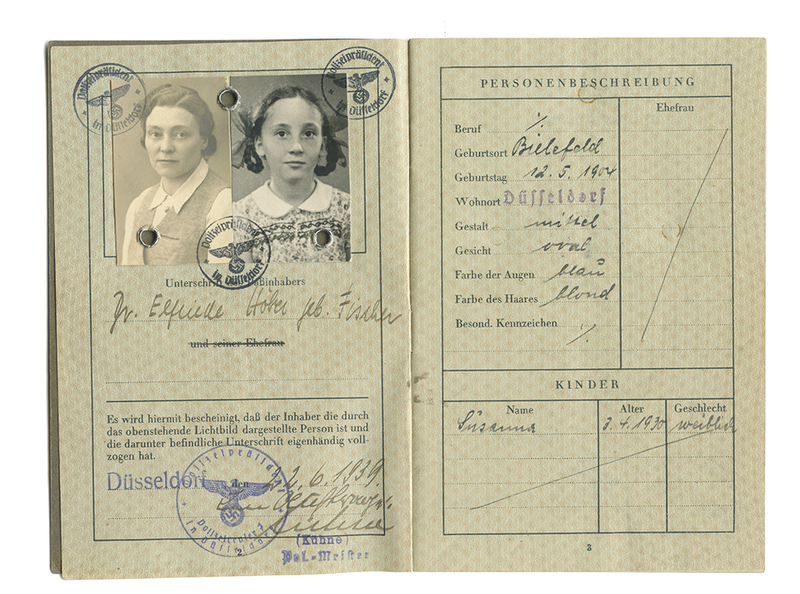 German passport issued to Elfriede and Susanne, June 22, 1939. 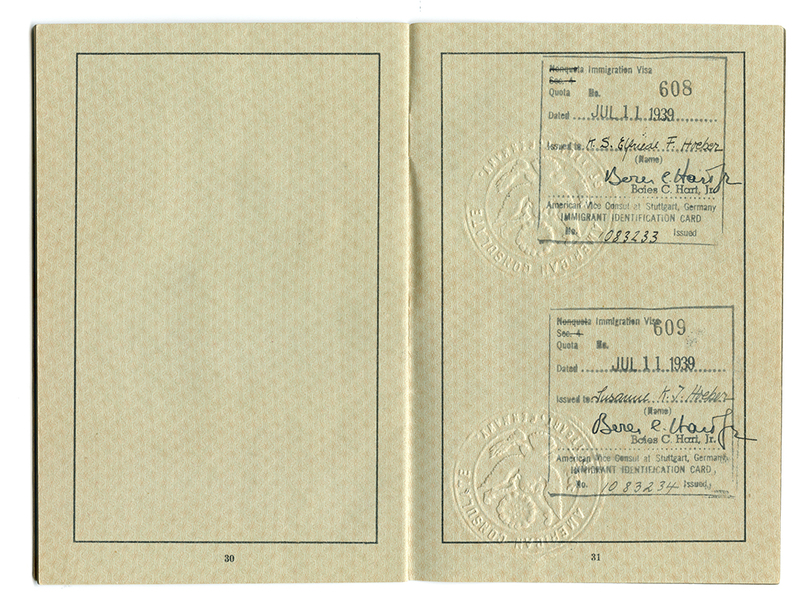 Page in Elfriede’s passport showing the American immigration visas issued for her and Susanne in Stuttgart, July 12, 1939. 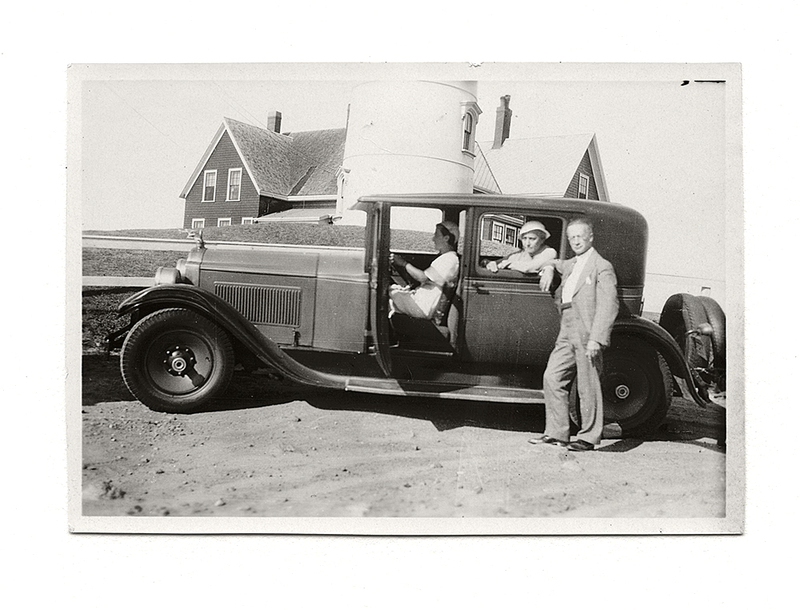 Ursula, Josephine and Rudolf on Cape Cod, near the Woods Hole Marine Biological Laboratory. Shortly after Elfriede’s arrival in the United States, November 1939. 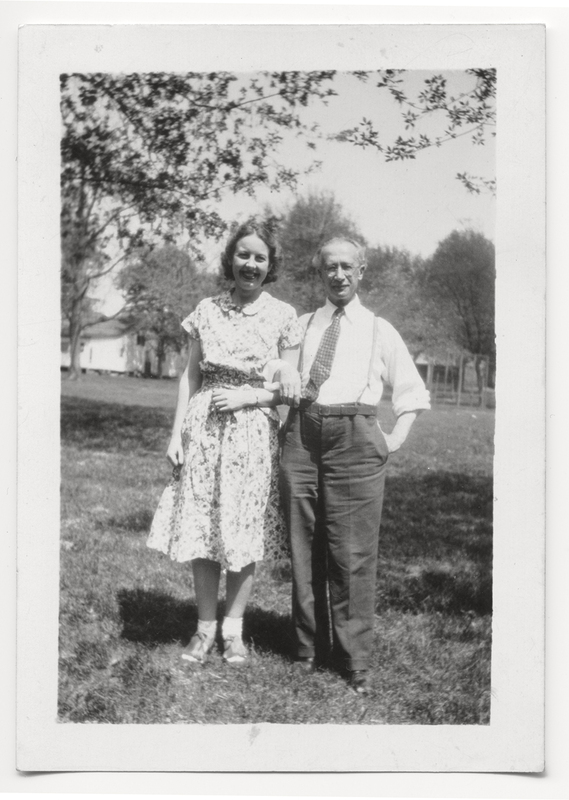 Walter Phillips, Frank Bird (brother of Mary Phillips), Susanne, Johannes, Elfriede. 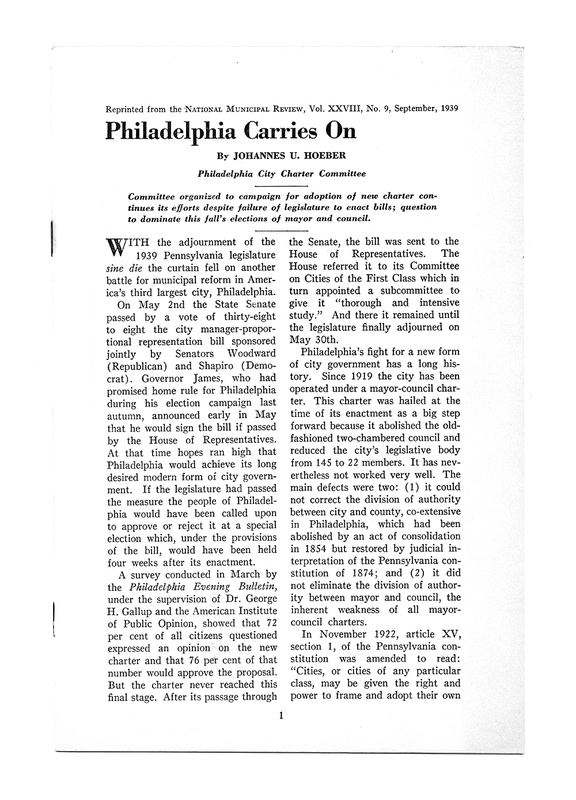 Johannes’ first professional article published in the National Municipal Review nine months after his arrival in the U.S.
Letter notifying Johannes that everything they owned was destroyed in the Allied bombing of Düsseldorf , June 12, 1943. 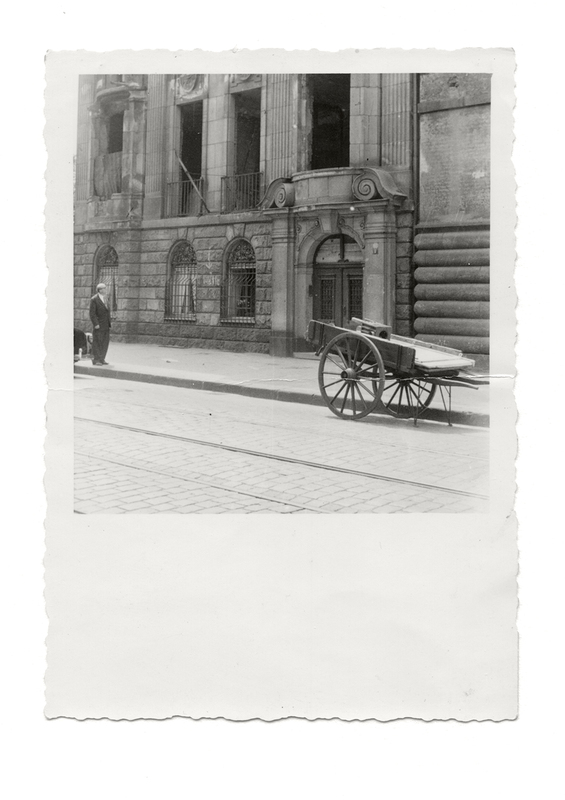 The building at Pempelforterstrasse 42 shortly after World War II. The upstairs windows at Pempelforterstrasse 42, where Johannes and Elfriede and Susanne lived before the War. 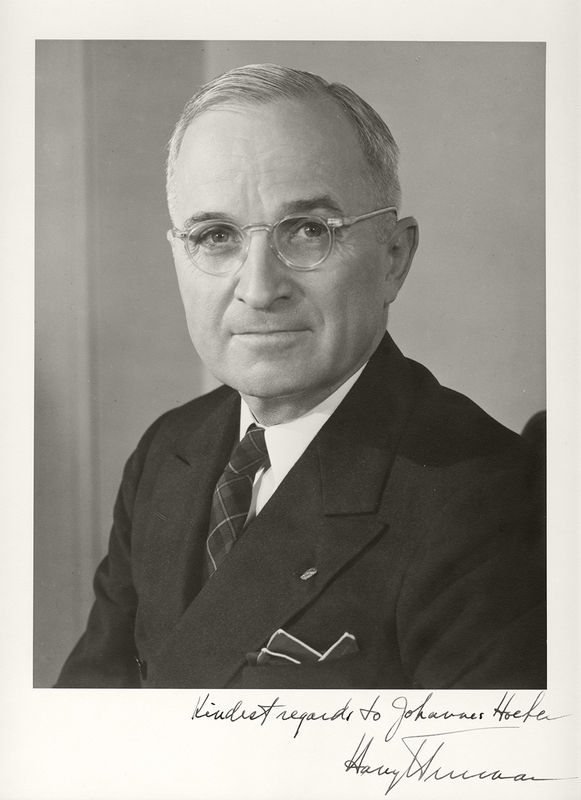 President Harry S Truman, portrait inscribed to Johannes Hoeber, January 1949. 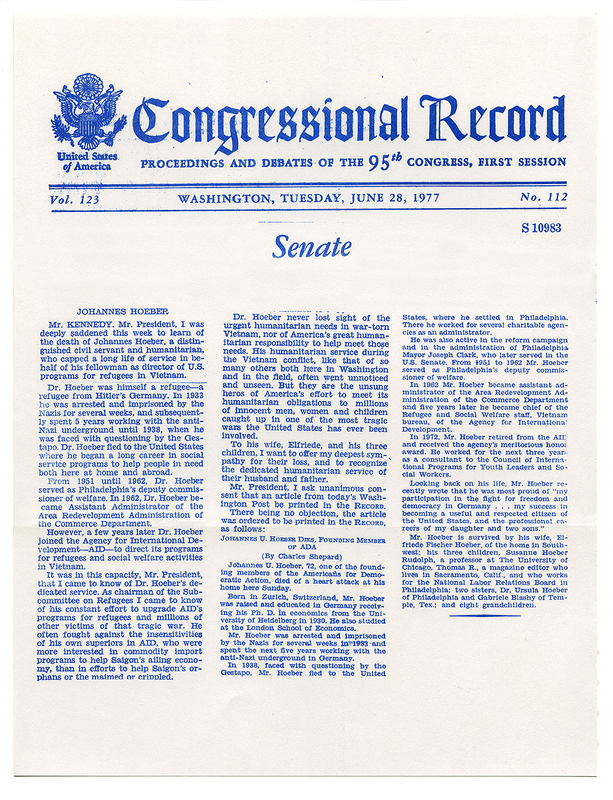 Eulogy of Johannes Hoeber delivered by Senator Edward F. Kennedy, June 28, 1977.